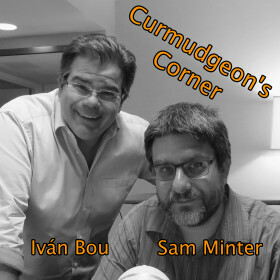 On this week’s Curmudgeon’s Corner, Sam and Ivan start out talking about travel things again. Ivan talks about “mileage runs”. Sam talks about the dramatic end to his DC vacation. But then they move on to the news. The travails of Flynn, Page, Sessions, Don Jr, and Kushner with Turkey, Russia, Russia, Russia, and Russia respectively. Then the GOP tax plan. Then of course the mounting evidence that all men are scum, and what should be done about it.